Just Think! - Drove a Car All My Life An' Had Only One Accident! 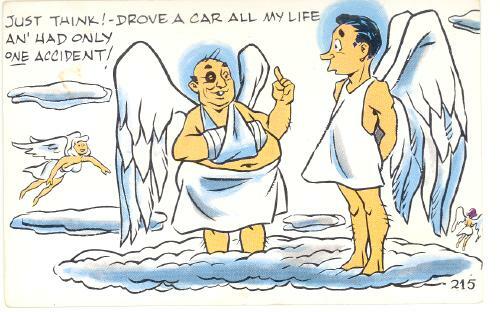 Marking on back: "Here's Another Comicard by Clem"
Chrome postcard #215. Pub by EF Clements. Sharp edges and only slight corner tip wear. Apx 3/8" ring of soiling at upper left.